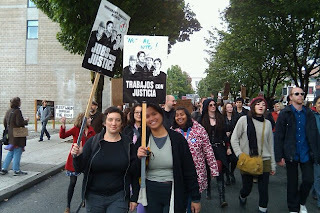 Moira with Aimee and Nancy at Occupy Portland. Everywhere I turn, I’m reading some analysis, critique and or celebration of Occupy Wall Street and the rising tide of occupations happening around the country. And as this dialogue is happening, I’m having a very personal experience – about loneliness. As I got ready to go the launch of Occupy Portland last Thursday my body was washed in adrenaline. Having spent more hours then I can count throughout my 25 years in this city walking the streets – yelling for change on this and that – I wondered why I was so excited. I met my friends, Aimee, Nancy, Kawa and Kelley among and the other 10,000 (as reported in the mainstream media)people that showed up that day. As we were marching, I realized why I got so excited. Not because of potential confrontations with the police – I left the desire for confrontation behind long ago. Not because I thought policy makers would hear our collective voices and run over to the capitol to rewrite/re-right the worst abuses. I got so excited because I knew I wouldn’t feel lonely for a few hours. I’m talking about the loneliness that that started when I was a very young person – when I brought an anti-nuclear petition to my 6th grade class in Eastern Oregon and no one would sign. When the US invaded Granada and my sister and I decided we should go put handmade flyers on cars in Grinnell, Iowa because no one seemed to be outraged. When there wasn’t enough concern to sustain an effort on my college campus to force divestment in apartheid in South Africa. When my parents decided they didn’t want to be family with me because I am queer. Over the years I’ve learned a lot about how to organize, how to be strategic and how to build a chosen family. I’ve found a home in amazing organizations creating change and become part of a broad community working for racial, gender, and economic justice. All of this has helped with the loneliness. But frankly there is something 10,000 acting together in rainy Portland that cuts through loneliness in a different way. 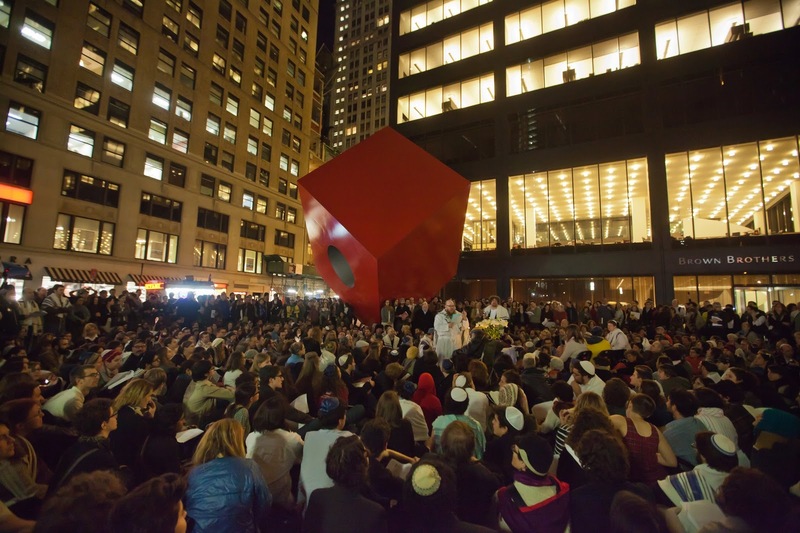 My friend Stosh went to a Kol Nidre service (Jewish service about forgiveness) with hundreds of Jewish people at Occupy Wall St. last week. She too reported a sense of place, of being in a community where her body, mind and spirit were intact, of being whole. These are fleeting moments that she and I try to mark together because they are so few and far between. Kol Nidre services at Occupy Wall St. So in addition to all the other political implications of the occupy events, I want to hold up the potential for community. Its so fragile – it goes away when the mics are open for all to speak and 10 young white men line up. It goes away when our slogans and actions don’t acknowledge the US exceptionalism, racism and sexism that keeps the 1% in power and divides the 99%. It goes away when in our fervor for individual freedom we forget the interdependence of families, communities and effective governance. I hope that Occupy will continue build the political will for systemic change that make a real difference in the lives of the families suffering at the margins of our society. When that happens, I am sure that I will feel a little more whole and a little less lonely. What does Forward Stance look like?